to live and be successful in life. all purposes God has for you. Nice birthday. 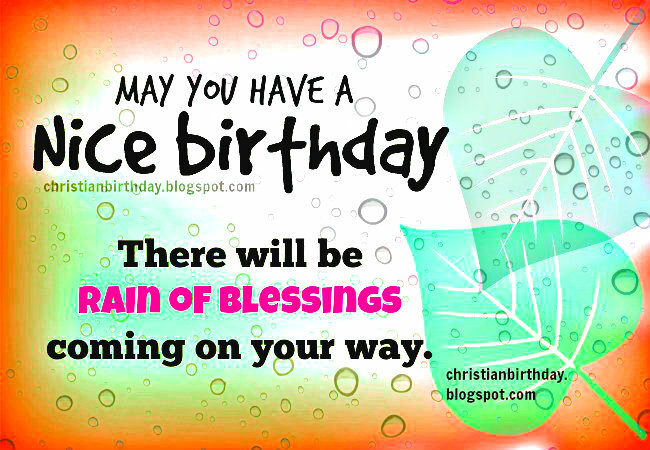 Rain of Blessings on your way, free christian birthday card by Mery Bracho. Free images with christian quotes for son, daughter, sister, brother, friend.